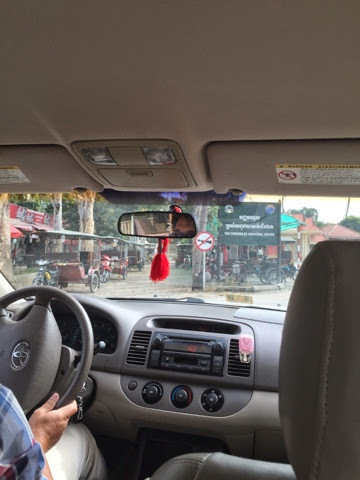 Huot, the owner of Taxi Phnom Penh - Day Tours, proves to be a terrific choice to drive us around the sights for two days. We researched guides on Trip Advisor and hit the jackpot twice. This was a somber morning. 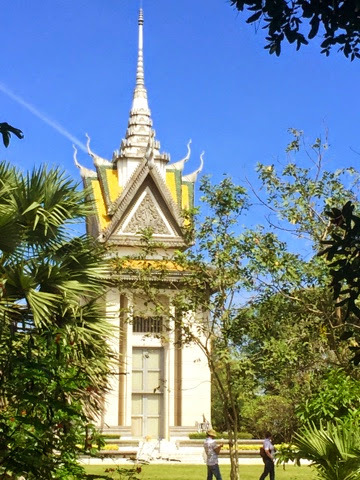 First we visited Choeung Ek, one of a number of "Killing Fields" Extermination camps. We didn't take a lot of photos - we just didn't feel like it. 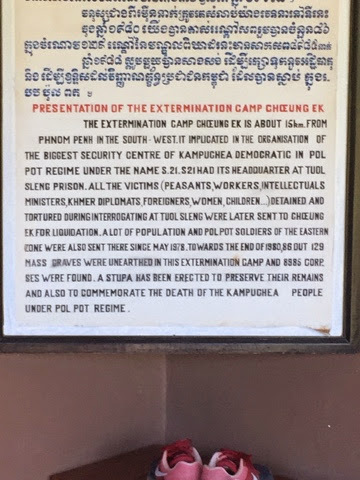 Pol Pot's regime exterminated close to 25% of the population, monstrous beyond words as he carried out his vision of communism that he learned about as a student in France. 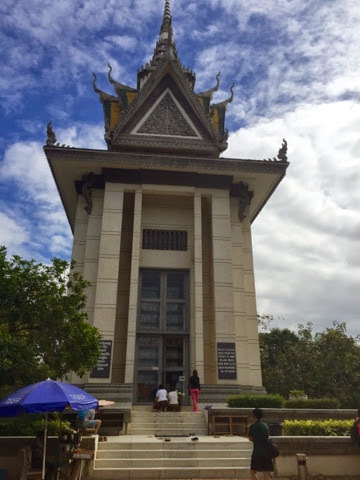 The beautiful monument contains many levels of human skulls and bones. 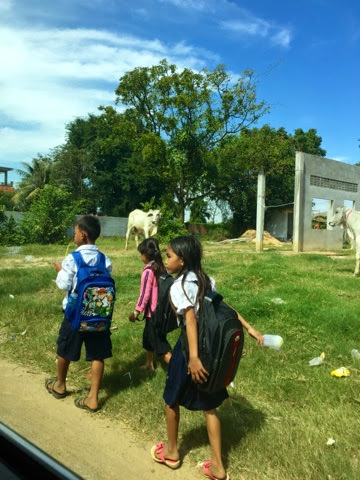 Once we were back outside, it was a relief to see young children on their way home from school. 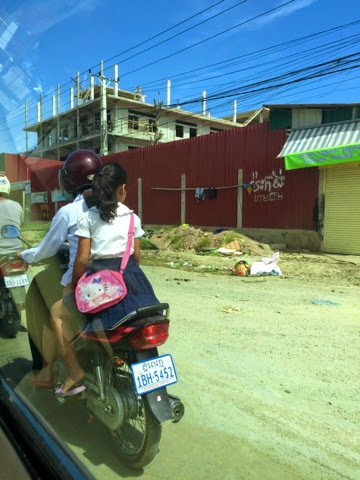 It's impossible to imagine their future won't be better than Cambodia's past century.